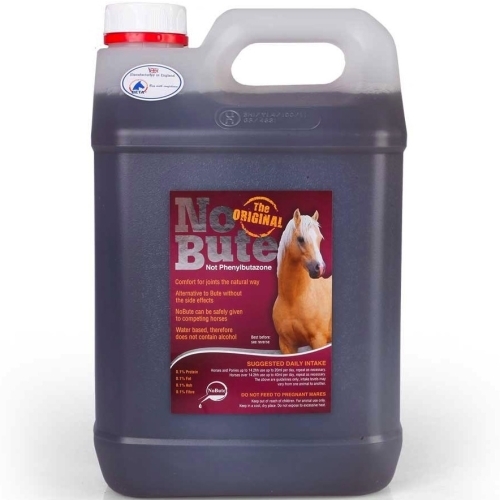 Equine Health No Bute is a very effective dietary supplement developed for the effective maintenance of healthy joints and connective tissue. Above all it is required for the rapid repair of damaged joints and it is recognised for its ability to mitigate the symptoms of arthritis. No Bute is based on liquid Devils Claw (Harpagophytum Procumbens) a botanical/herbal supplement, which can be safely used with none of the potentially debilitating side effects associated with ‘bute’. No Bute is suitable for horses used in racing, showing, jumping and eventing.